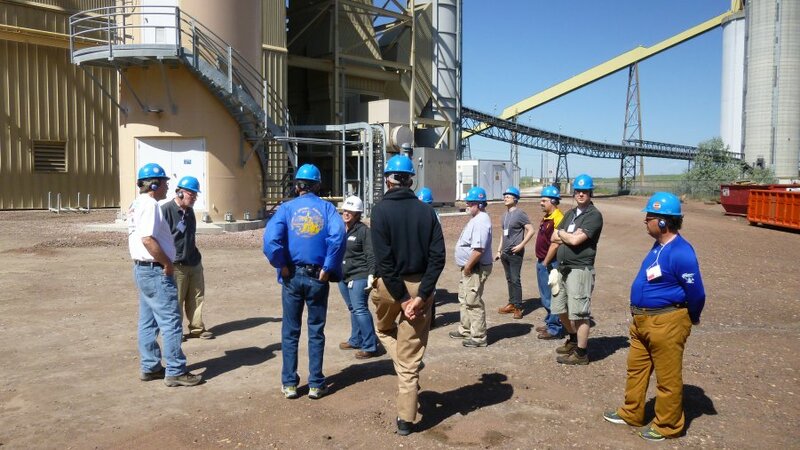 Arriving at the Black Hills Energy mine-mouth power plant complex in Gillette, Wyoming. 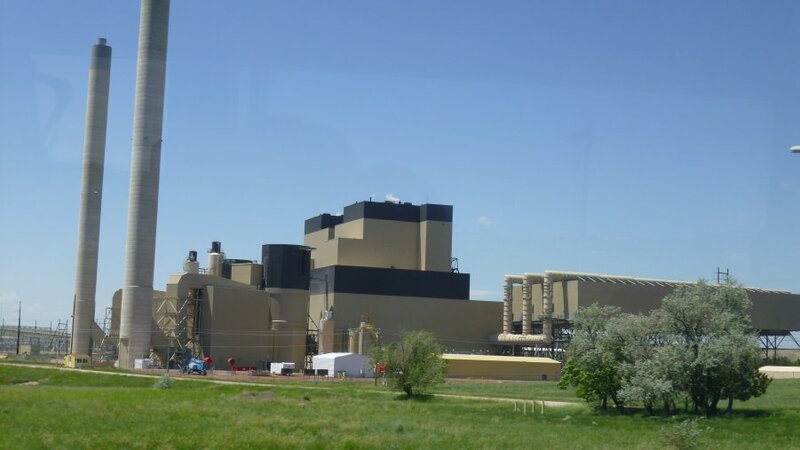 View of the power plants from the MHA tour bus. Wyodak Mine overview. 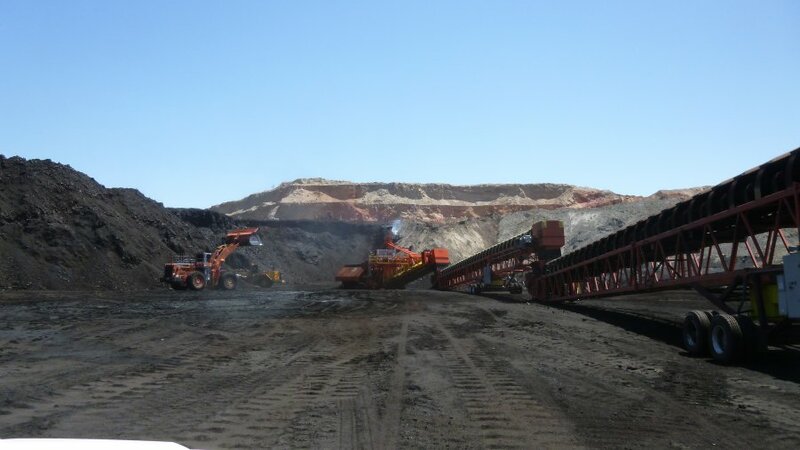 The eighty-foot thick coal seam is typical of the coal resources in the Powder River Basin. 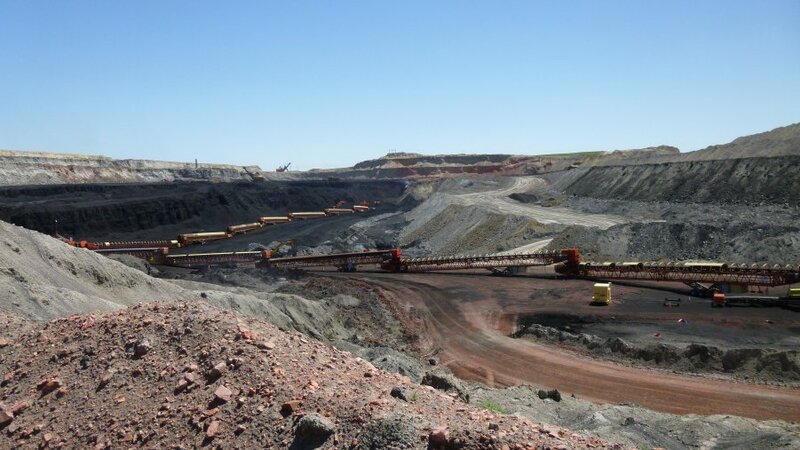 Wyodak is the oldest operating surface coal mine in the US. CLICK HERE for a close-up view. 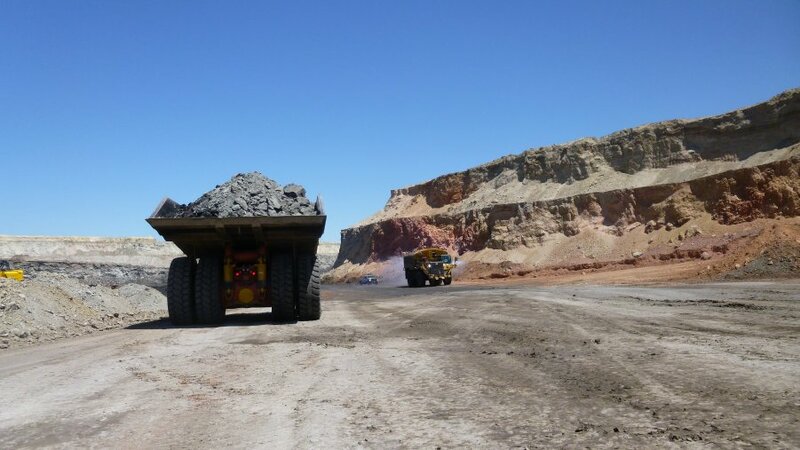 The first step in the mining process is the removal of overburden and stockpiling it for future mine reclamation. Water trucks control the dust. 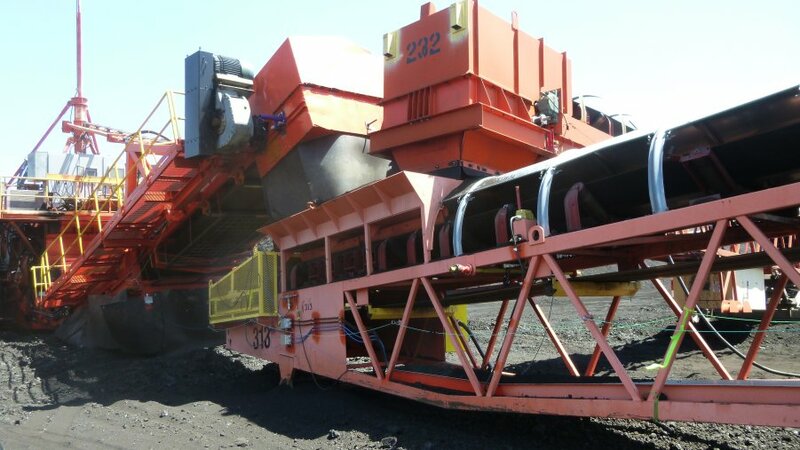 (Front-end loaders dig the coal at the face and place it in the hopper that feeds the conveyor system. 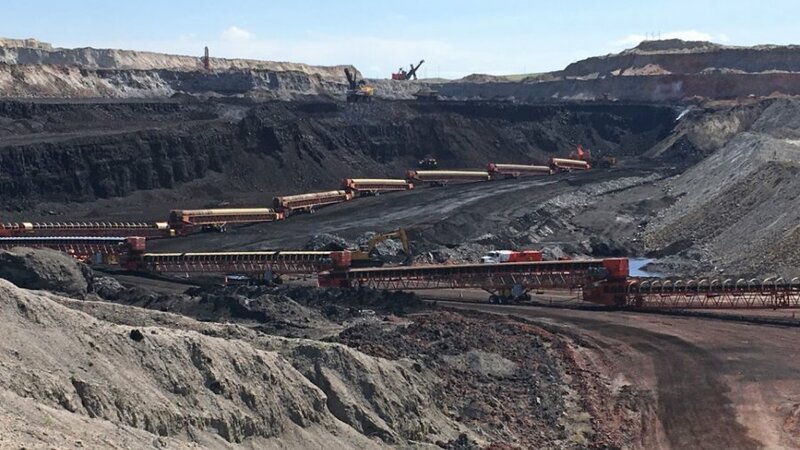 A string of mobile conveyors transports the coal from the mine to the power plants. Transfer points like this one handle the sharp angles. 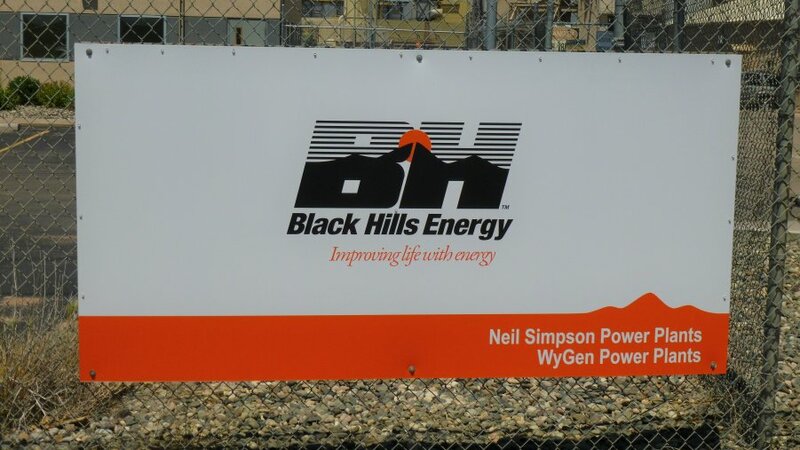 Helpful guides from Black Hills Energy describe the process flow in the WyGen power plant. 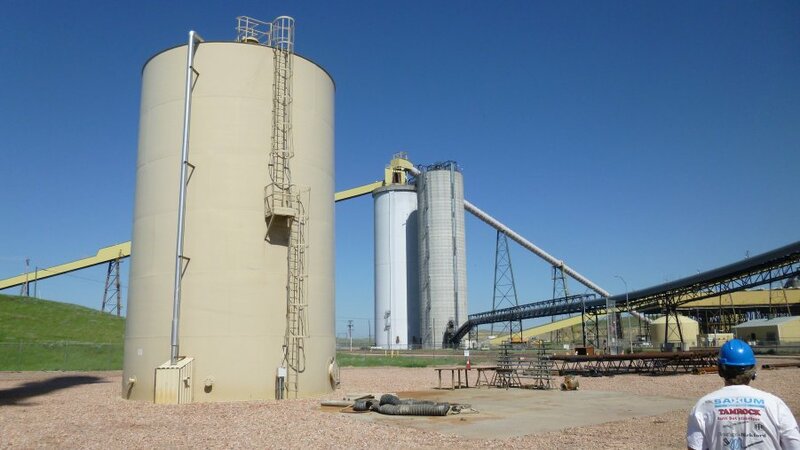 Coal conveyed from the mine is stored in the silos. 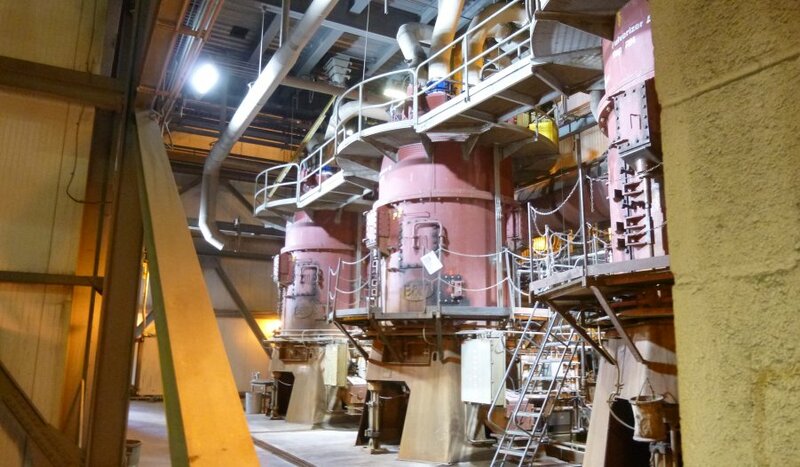 The coal is pulverized before it enters the boiler. 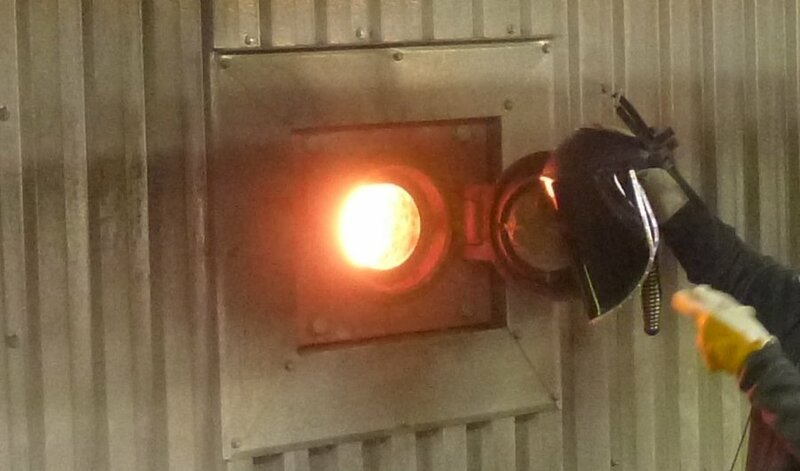 A view through the boiler inspection port. 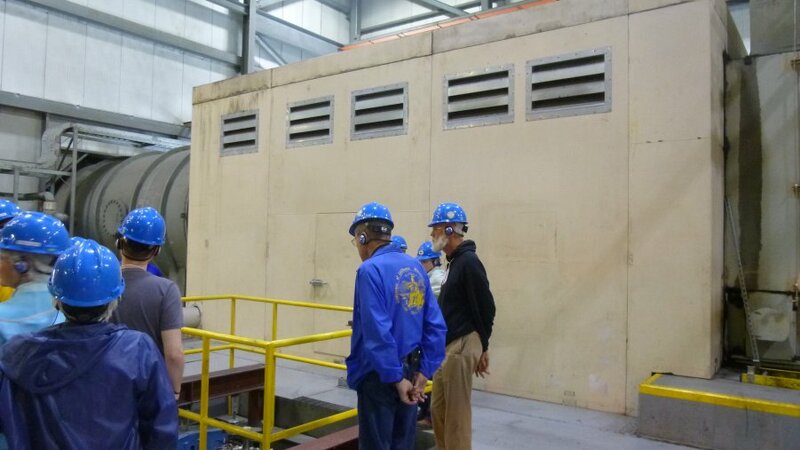 MHAers in the generator room. 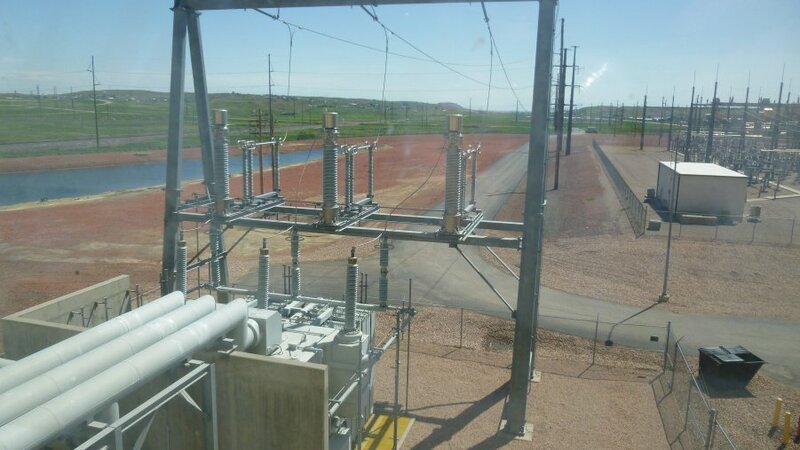 The final product, electricity, literally coal by wire. (Photos Courtesy of Henry Djerlev and Silvia Pettern. OF THE BLACK HILLS MHA CONFERENCE.